can be used for gardening and toilet flushing. 2. Easy to install and maintain. It can be installed in several days and operates automatically. 3. No smell. Because all the gas (biogas) produced is collected and used as fuel. 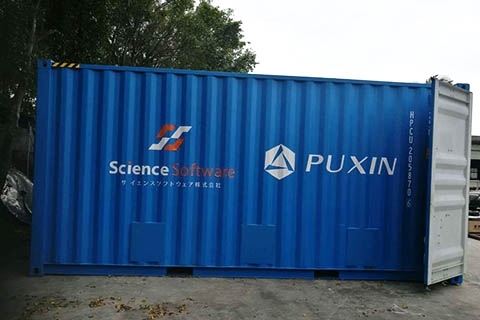 PUXIN Combined Container Sewage Treatment System is designed for a capacity of 20-1000 m3/d domestic sewage or other organic wastewater treatment. 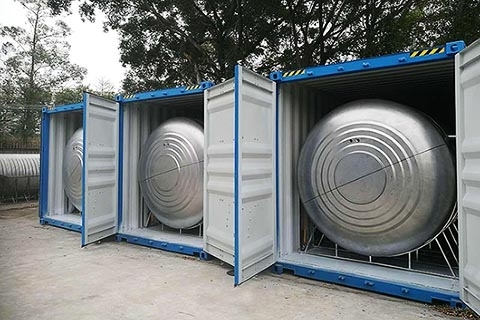 It is suitable for houses, hotels, apartments, resorts, holiday villages to treat sewage water, and for food factories、livestock farms and slaughterhouses to treat waste water. The system is composed mainly of an anaerobic treatment system, an aerobic treatment system and a deep aerobic treatment system. The anaerobic treatment system is composed of anaerobic tanks; the aerobic treatment system and deep aerobic treatment system are composed of aerobic tanks and a blower. 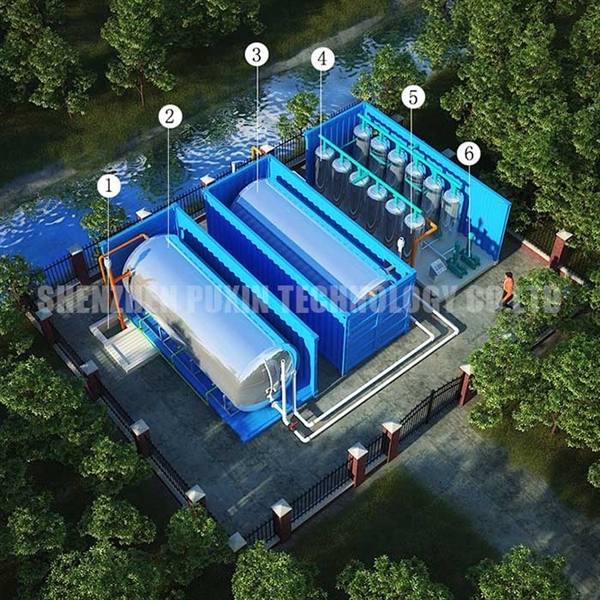 The sewage is first treated by the anaerobic treatment system, and then is treated by the aerobic treatment system and deep aerobic treatment system. During the anaerobic treatment process the biogas produced can be collected, purified and stored as a fuel for use. The treated water and the sludge can be used for gardening.